(Sacramento Bee) The Trump administration’s immigration chief warned Friday that his agents will be making more arrests in California neighborhoods and workplaces because Gov. Jerry Brown signed a “sanctuary state” law. SB 54 “will inevitably result in additional collateral arrests, instead of focusing on arrests at jails and prisons where transfers are safer for ICE officers and the community,” Homan warned. Arresting illegals in safe places like courthouses would have been the smarter move for California, as well as allowing ICE to take the illegals into custody at jails. Now? 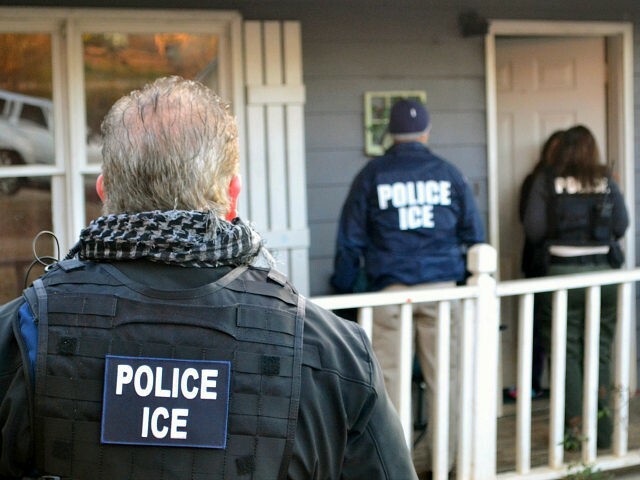 We’ll surely see more Outrage when ICE tags illegals at their homes and other places more often. And, this being Homan, who is a hardliner (meaning he respects the Law) on illegal immigration, he will direct ICE agents to be move visible to send a message, which Trump will approve of. Homan had wanted to avoid neighborhood sweeps, but, now he and ICE are put in a place where they need to be conducted. (Senate President Pro Tem Kevin) De León, speaking at a rally for the bill Thursday in Los Angeles, also acknowledged it would not stop ICE from “trolling our streets,” or provide “full” sanctuary for unauthorized immigrants. Let’s unpack that: De Leon is saying that law and order is a bad thing, that allowing people who have committed crimes and are unlawfully present in the United States to be arrested is a bad thing, that illegal aliens should be placed over the needs of lawful citizens. If California is looking for someone to Blame, they should look to their elected officials. Said officials should consider that they, and the people who work for California, at places like jails, could find themselves on the wrong side of federal law for things like sheltering and harboring illegal aliens, for providing aid and comfort.